After spending two weeks at the United Nations Commission on Sustainable Development and months preparing for the City Farm Showcase events, Urban Rural Linkages for Food Security and Vibrant Markets workshops, lobbying major groups and government delegations, managing a crew of wonderful volunteers (who did everything from writing and photography to event planning and coordination, team building and photocopying), I came down with the flu. Now, I'm just getting back to my desk after a long hiatus and quite a few naps, ready to catch up on the last few weeks. It's good to be back and transition from global to a little more local! Much of the work we did -- as detailed in the press releases and articles posted this month -- focused on connecting country sides and communities and the importance of engaging local authorities to build and maintain an infrastructure that enables rural regions, such as upstate or Long Island, to feed large cities, such as New York with locally grown fruits, vegetables, meats, poultry, dairy and seafood as well as fresh made breads, jams, wine, maple syrup, cider and other wonderful (and local) products. And, to feed all citizens of the city regardless of where they live or how much money they make. Whether it's New York, Nairobi or Mexico City the urban rural linkages paradigm makes sense. Of course, the strategy needs to be supplemented with products from outside the region (think oranges and avocados) and global foods (spices, coffee, chocolate) for us Northeastern folk. 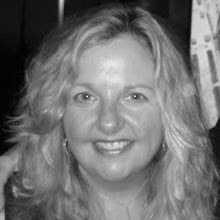 So, when I started to catch up on local food news and learned about a new initiative called "Food Retail Expansion to Support Health (FRESH)", based on the New York Supermarket Commission report (for a full copy of the report click here) I was THRILLED!! Mayor Michael Bloomberg, City Council Speaker Christine Quinn, and Governor Patterson GET IT! Our local officials understand URBAN-RURAL LINKAGES. In announcing what on the surface seems like a zoning and financial incentive plan for adding supermarkets to low income neighborhoods, FRESH turns out to be a comprehensive urban planning program that takes into account not only where the stores are located, financing arrangements, etc. but where the food comes from and how shoppers get to the stores. "I strongly support public policies that encourage the development of supermarkets in undeserved communities, connect New Yorkers to local food grown right here in New York, and create opportunities to build environmentally sustainable supermarkets. Good policies like these will help us reduce the incidence of childhood obesity and promote New York State agriculture"
"The State of New York should require that all projects receiving assistance through a state financing program enroll in the Pride of New York Program. Stores should be encouraged to carry products from farms within 300 miles of their location. Selling locally grown and produced products helps to sustain local farms, promotes a vibrant regional economy, and makes good business sense. Surveys repeatedly show that U.S. consumers believe fresh and locally grown products are tastier and healthier than their packaged counterparts. ......... 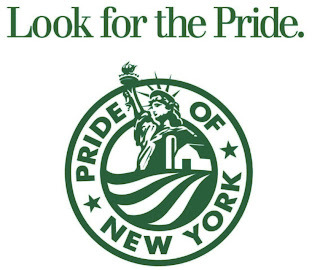 In 2008, the Pride of New York retail program assisted over 500 supermarkets in sourcing local products and incorporating the “buy local” message into their marketing campaigns........over a dozen new partnerships between supermarket chains and the Pride were developed across the state – from Long Island to Buffalo – and interest continues to grow. Nevin Cohen, assistant professor of urban environmental studies at The New School, explains the process of approval by community boards of the zoning and financial incentives in a great piece over on Civil Eats, "Creating Better Incentives for Healthy Food in NYC"
For more about the PRIDE OF NEW YORK see my previous post here.